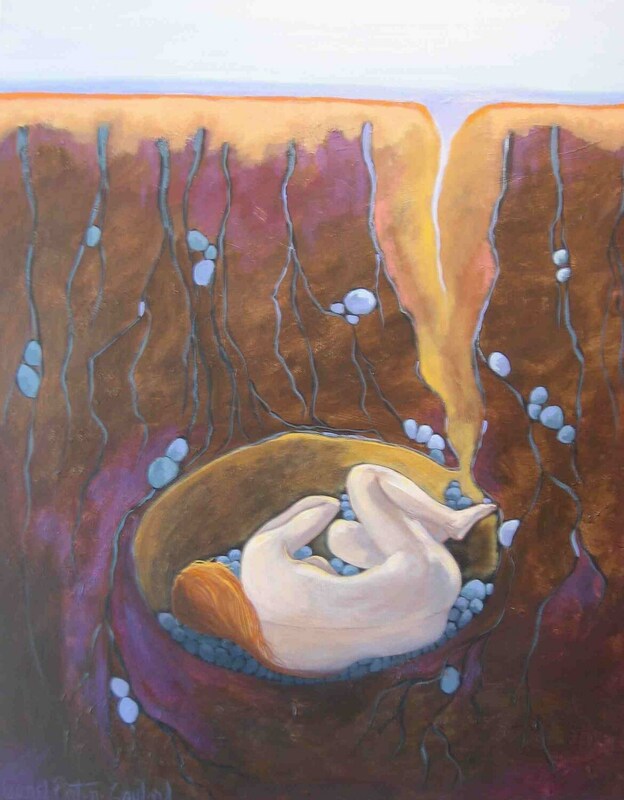 This is the full view of my painting showing below and above ground. I call this "Replenishing Her Spirit." Don't you feel like hibernating this time of year? I always emerge after the new year wanting to begin anew! The close-up cropped version of this image is also available, and both versions are available as prints. Just convo me!